Danny was called to ministry his freshman year in college, and has been involved in ministry in one capacity or another ever since. After coming to Illinois in 2013 as a graduate student in the Biblical Interpretation program at Wheaton College, Danny joined and was confirmed at Church of the Resurrection. He spent that first year healing and growing at Church of the Resurrection, and the next year began serving as an intern for Greenhouse under Father Keith at Redeemer Anglican Church. There he started to more fully realize and utilize his personal ministry gifts, through regular teaching and administration. 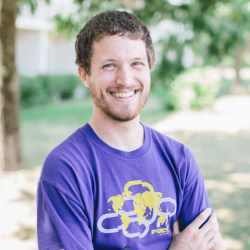 In the summer of 2015, he discerned a call to work at Greenhouse full-time, and joined the staff long-term. Danny’s vision is to bring deeper spiritual formation to Redeemer Anglican Church, and also to the wider family of churches in the Redeemer Parish.